A Chorkie is a hybrid dog made up from a combo of two different pure breeds. 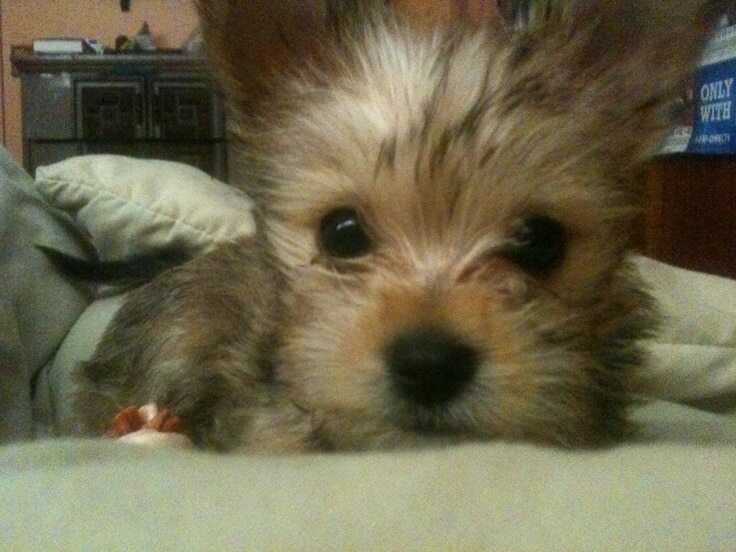 It’s a cross between the Yorkshire Terrier and Chihuahua. This breed is a small dog with lively attitude as well as an interesting coat. As a matter of fact, these dogs are considered homely because of their cuteness. With this breed’s adorable personality, they simply win a lot of hearts. If you are looking for the best indoor pet available, the Chorkies are definitely among the best ones for you to get. This breed’s physical appearance has subtle alterations compared with those contributing genetically, but overall it depends on the genetic contribution of the parents. However, when it comes to their sizes, they are small and are also considered as toy pets. Due to genetics, Chorkies could come in different colors, with ears that could be either pointy or droopy. There is no official date concerning the moment when the first cross breed of Chihuahua and Yorkshire Terrier has been recorded, but it is believed that the intentional breeding started in the early 1990’s. 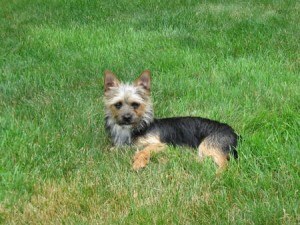 Even if the parents have pedigrees from their own breeds, the Chorkie is not classified as a pure bred kind of dog and not recognized by most of the formal breed registries in United States. Just like the majority of the hybrid dogs that are so popular these days, the Chorkie is still classified as a mixed breed and a non-pedigree dog. Chorkies are energetic dogs, so feeding them proper and high quality dry kibble will be necessary to supplement all of their vitamin and nutritional necessities. Training Chorkies will never be a hard thing. Just like their parents, they can be trained easily. However, there will be times when they can be stubborn, so patience, calmness and assertive leadership is needed here. Since they are an indoor kind of breed, they should be trained with the proper housebreaking at an early age. They are considered toy pets because of the weight, which is only around 8 to 10 pounds. 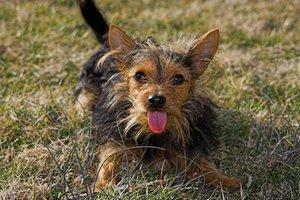 Both of the Yorkshire Terrier and Chihuahua are bright and energetic dogs. They are also active, intelligent and they love to do everything. More than that, Chorkies are playful, lively and entertaining. They definitely love to cuddle, but they could also be fearsome. You might have to train them early when it comes to socialization with other pets. Chorkies are more prone to different allergies and skin problems. 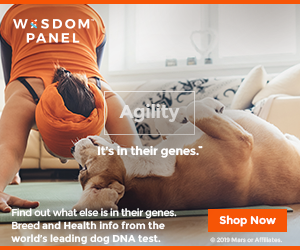 Although it’s been said that the cross breed dogs are healthier than their purebred parents, they still tend to inherit the hereditary ailments affecting either breed. Beyond that, Chorkies are not prone to most of the critical ailments like other breeds have. Chorkies can live a life that goes beyond 10 years. Since Chorkies are energetic and playful, they need a lot of play and exercise in order to have a balanced health and state of mind. Short walks every day is needed for this breed in order to stimulate their mental wellness and make sure they have a balanced life. Chorkies are not recognized by the AKC or the American Kennel Club, but they are recognized by other clubs such as the Designer Dogs Kennel Club, American Kennel Club, Designer Breed Registry and the International Designer Canine Registry. In terms of the coats, Chorkies have any sort of color combination possible, most especially with the Chihuahua heritage. The only thing is that, most of these dogs wind up a bit grizzled in color because of their Yorkie heritage. As yorkies reach maturity, then tend to lighten out in a gun metal gray color. The coat could be of medium length, long or a mix of both. It all depends upon whether the Chihuahua parent was a long or short coat specimen. Typically, the texture is silky or soft, but some specimens are still a bit rough. When it comes to shedding, the Chorkies are light shedders and the coats have to be brushed and detangled regularly. A week or every other week is also needed to keep them neat. Watching out for excessive hair growth within this dog’s ear is needed, as it could cause them infections. During the early life of Chorkies, they need to be trained on how to socialize and ensure that they do not develop any sort of behavioral problems towards strangers or even other animals once they have matured.